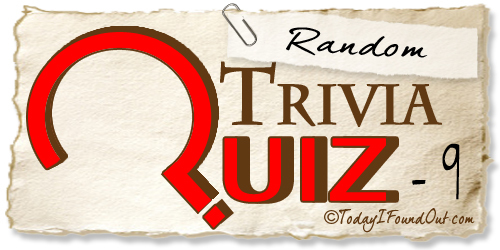 Congratulations - you have completed Random Trivia Quiz 9. Where in Britain is St Andrews University located? Which sport is Novak Djokovic famous for playing? What was the surname of Juliet in Shakespeare's Romeo and Juliet? Which fairy tale character slept for 100 years? What was David and Victoria Beckham's first child named? Which sport is known as the Sport of Kings? How many keys does a standard full size piano have? Which rock band did Brian May belong to? Which musical instrument is James Galway famous for playing? I don’t know if anyone has noticed, but more and more these quizzes contain at least one Queen question. Not that I’m complaining, as I’m writing this I am listening to bohemian rhapsody!! So, keep them coming! !